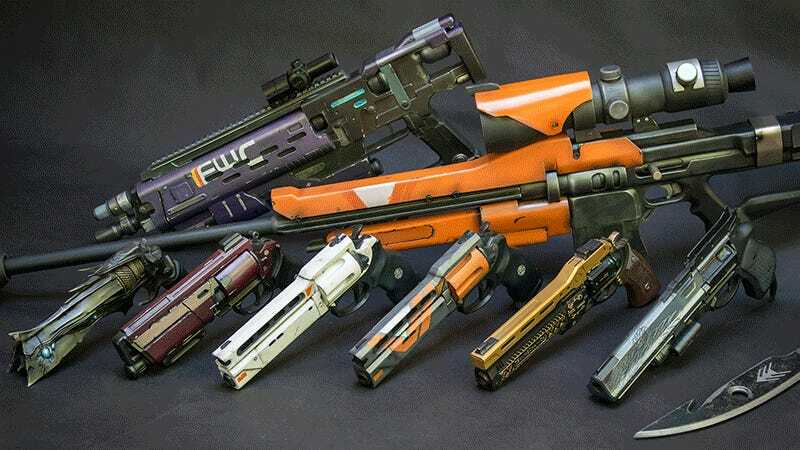 For the last two years, cosplayer and props builder Eric Newgard has been recreating weapons from Destiny. The results are spectacular. From Gjallarhorn to Fatebringer, swords to loot chests, he’s produced (with help from some friends, including Zander Brandt, who we’ve featured here before) weapons that look like something that should be hung on the wall at Bungie. You can see more of Newgard’s work at his Flickr page.